MPI analytics provide a more effective and impactful way to identify, analyze and present the risk characteristics of individual investment products and portfolios. Our returns-based risk offering is focused on meeting the needs of fund selectors and fund sellers by delivering precise, flexible risk capabilities with speed and cost efficiency. Use regime models to evaluate product or portfolio-level performance during historical periods that share common characteristics. Select from up to 30 preinstalled regime models or create your own in Stylus. 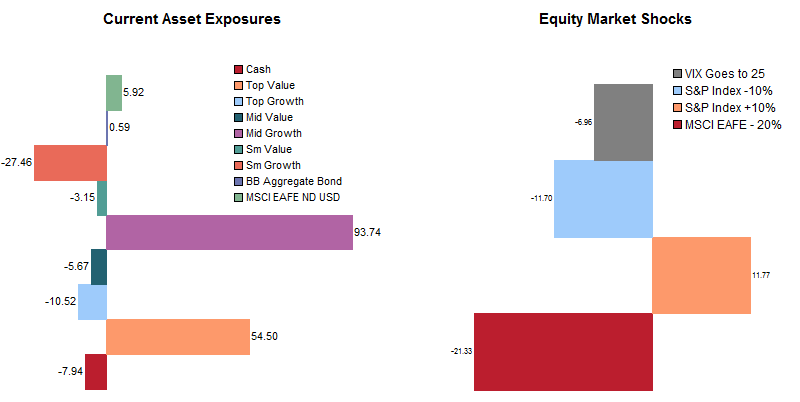 Analyze fund or manager risk and performance in different market environments. Stress test functionality enables users to view how an individual fund or portfolio performed during a single historical event. 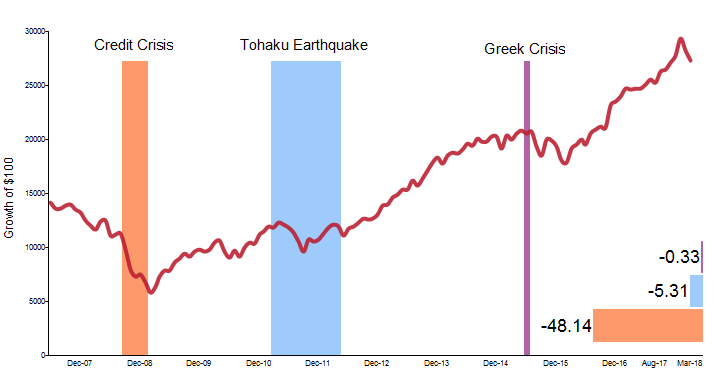 Analyze fund or manager performance during individual historical events. Select from an extensive library of historical events that ships with version 11.4, or define and save your own for use across multiple studies. Conduct forward-looking analysis of manager exposure to potential market movements by performing theoretical shocks to a market index or economic factor. Analyze a fund or manager’s potential exposure to a range of market shocks. Run scenarios for a single point in time, under various regimes or at rolling time interval. MPI risk functionality also allows users to analyze performance at the peer group level. For example, the chart to the right maps peer group performance to identify funds that would benefit most from a steepening and flattening yield curve.